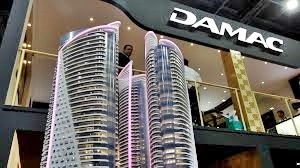 Damac properties said they are looking to fill in various positions within their Sales Department. Positions ripe for the taking include Sales Team Managers, Direct Sales Consultants, and Tele Sales, Executives. The good part is that you only need to WALK-IN to be interviewed! No applying online, no tense waiting for a call - just wear your best business attire, print out some copies of your CV and head to Shangri-la Hotel, Sheikh Zayed Road in Dubai from 10 am to 4 pm tomorrow, Friday. If you're commuting your way there, the nearest metro station to the location is Financial Centre. Direct Sales Consultants: Minimum 2 years of direct sales experience. More details on Damac Properties website.